Grit has enormous potential to transform our lives. Angela Duckworth has spent most of her adult life pursuing one top-level goal: using psychological science to help children thrive. Her current work — Co-Founder and Scientific Director at the Character Lab and as a Professor of Psychology at the University of Pennsylvania — is doing just that. Grit can be predictive of achievement, especially in challenging contexts in which stamina is key. For instance, gritty cadets are more likely to persist at West Point Military Academy, gritty students in the Chicago Public Schools are more likely to graduate, and gritty competitors are more likely to advance to the finals of the Scripps National Spelling Bee. In her early work, Duckworth and colleagues devised empirical measures of grit and self-control in both children and adults and established their predictive validity for a number of dimensions of success. They found that these traits predict objectively measured success outcomes, even when controlling for cognitive ability. Is There Anything Grit Can’t Do? In this edition of MONEY’s Summer Reading List, author Angela Duckworth sits down to discuss her new book Grit: The Power of Passion and Perseverance. Duckworth explains how we can apply “grit” to our everyday lives. Milkman and Duckworth are putting together a massive project with all kinds of scholars and all kinds of partners — banks and schools and fitness centers and drugstores. Their mission: to take everything that’s been learned so far in places like the Nudge Unit, in academic research departments, and apply it to one problem. Since launching her 2016 New York Times bestseller “Grit: The Power of Passion and Perseverance,” Duckworth has been crisscrossing the United States, meeting with school officials, researchers and foundations to talk about ways of improving education. I caught up with her last month in Salt Lake City, where she was a keynote speaker at a conference hosted by survey-software maker Qualtrics. During a break between presentations, she talked about the work that she and other researchers are doing to come up with quick, unobtrusive, scalable—and reliable—tests for grit among K-12 students. “When you look at gritty people in full maturity, adults, they do one thing really well. It’s their passion,” Duckworth explained on “CBS This Morning” Tuesday. But what if you have yet to discover your passion? “When you’re a kid, you don’t know what that passion will be, so you have to try things,” Duckworth said. Duckworth said now is the perfect season to “foster” a passion. Rowling’s not alone in this mindset. Psychologist and MacArthur “Genius” fellow Angela Duckworth spent years researching achievement, and found that talent by itself is only one factor. Success also requires determined effort, and lots of it. 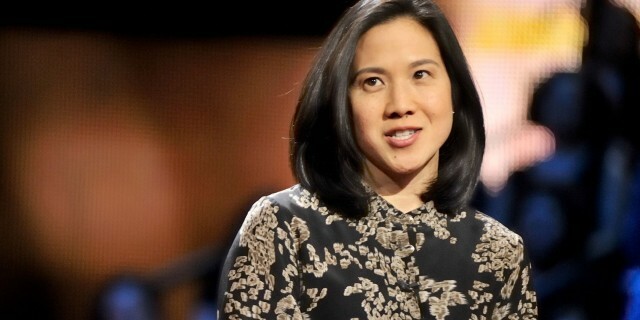 Grit—the perfect storm of passion and practice—allows even the most mediocre of minds to achieve success, and success is attainable for everyone, says Angela Duckworth. The 46-year-old University of Pennsylvania professor and psychologist shot to national prominence when she published Grit: The Power of Passion and Perseverance, which topped best-seller lists last year. 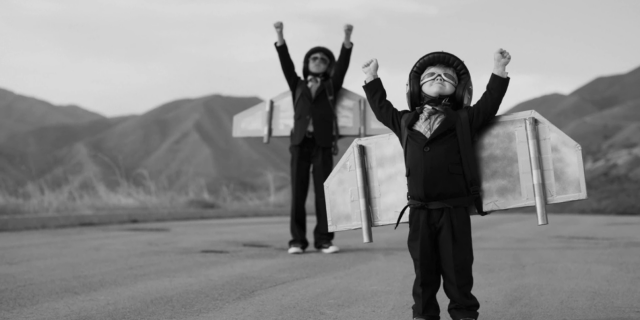 Often what distinguishes two equally capable students is that one demonstrates higher levels of purpose, grit, passion, perseverance or optimism. These and other strengths are collectively known as “character.” It was clear that if we wanted to ensure college success for all of our alumni, we needed to cultivate character in our students. 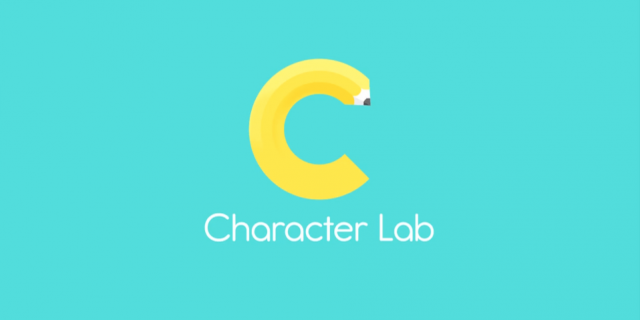 What’s more, we needed to talk openly about character so that our students could recognize it and understand why it’s so important… We believe that our work will yield a new solution to an age-old challenge and help us answer the riddle that I — and many of my colleagues in education — have been working our entire careers to solve. “Grit isn’t everything,” explained Professor Angela Duckworth from the University of Pennsylvania, founder and scientific director of the Character Lab, and best-selling author of Grit: The Power of Passion and Perseverance, when I interviewed her recently. “There are many other character strengths you also need to be truly successful and to flourish in life. A few years ago, after taking a tumble down the stairs, I was laid up in bed for days. The book I’d started just before that misfortune was called Daily Rituals: How Artists Work, by Mason Currey. I found relief in reading that book, page by page, as mindfully as possible. Essentially, Daily Rituals describes the idiosyncratic routines of writers, artists, and other creators. Currey is a collector of habits, documenting the typically monotonous routines that seem to enable fiercely original creativity. Friedrich Nietzsche, a German philosopher, once stated that there was a universal tendency to see success as the result of innate talent, rather than effort. Today it is still common to think of the straight-A pupil as having a “gift” for learning, or of the sports star as miraculously skilful. Angela Duckworth, a professor of psychology at the University of Pennsylvania, believes that talent is overrated. For all their grandeur and euphoria, graduation ceremonies can be harrowing. Until that momentous day, you’re a student whose job is to do what your teacher asks. Now you have to ask things of yourself — but what? If you’re relying on a commencement speaker to set your compass, you may still be confused at day’s end. In my experience, it’s common to hear “Follow your passion” from the podium. This is great counsel if, in fact, you know what that passion is. But what if you don’t? In her new book Grit: The Power of Passion and Perseverance, psychologist Angela Duckworth argues that getting a leg up in today’s society isn’t based on natural aptitude, test scores or physical ability. Instead, it’s based on good old-fashioned grit, which she describes as the drive to pursue one’s long-term goals despite setbacks along the way. Duckworth realized that hard work without direction would not ultimately lead to real lifelong achievement. She realized that finding passion — an essential part of grit — was more difficult than finding the determination to work hard. Her conversation with Konnikova reveals a human portrait of grit as well as the scientific findings which underpin her important work. We spoke with Duckworth, who also founded Character Lab, a nonprofit that aims to advance research on character development, about why she thinks leaders shouldn’t measure grit in high-stakes situations, her response to some of the criticism her ideas have received, and why she shares her rejection letters with the people who work for her. Is quitting ever a good thing? I study grit, a quality you can think of essentially as the opposite of quitting. Grit is passion and perseverance for long-term goals. To have grit is to wake up thinking about the same questions, the same challenges you were working on yesterday — and to do the same tomorrow, and the next day, on and on and on for years. We all know why it exists, but the grade-point average is one of the more destructive elements in American education. Success is about being passionately good at one or two things, but students who want to get close to that 4.0 have to be prudentially balanced about every subject. Recently, Angela Duckworth — the scientist behind the buzzy term grit — was planning her tour to promote her new book, Grit: The Power of Passion and Perseverance, which was published last week. Someone floated an idea: Wouldn’t it make sense for Duckworth to visit the schools that had applied her grit curriculum? Grit: The word has mouth feel. It sounds like something John Wayne would chaw on. Who wouldn’t want grit? Wusses. ­Forget ’em. Angela Duckworth, the psychologist who has made “grit” the reigning buzzword in education-policy circles, would surely recoil at any association between it and Wayne’s outmoded machismo. Duckworth is a scholar you have to take seriously. Do You Have the “Grit” It Takes to Succeed? More Americans are likely to single out “natural talent” as the best predictor of success, but psychologist Angela Duckworth argues that talent is overrated in our society. In her new book, “Grit: The Power of Passion and Perseverance,” she explains why they are wrong. “Really, what matters in the long run is sticking with things and working daily to get better at them,” Duckworth told “CBS This Morning” Tuesday. Most people would think of John Irving as a gifted wordsmith. He is the author of best-selling novels celebrated for their Dickensian plots, including “The Cider House Rules” and “The World According to Garp.” But Mr. Irving has severe dyslexia, was a C-minus English student in high school and scored 475 out of 800 on the SAT verbal test. How, then, did he have such a remarkably successful career as a writer? “What’s wrong with millennials?” This is a question many older Americans are asking. Why do they keep changing their minds about what they want to do with their lives? Why does even a hint of critical feedback send them into a tailspin of self-doubt? In a word, why don’t they have more grit? The rule at the “grit” expert Angela Duckworth’s house? You can quit. But you can’t quit on a hard day. Few parents who pick up Angela Duckworth’s book “Grit: The Power of Passion and Perseverance,” will be thinking about raising a quitter. But Dr. Duckworth, a psychology professor at the University of Pennsylvania, has some unexpected advice. Angela Duckworth was teaching math when she noticed something intriguing: The most successful students weren’t always the ones who displayed a natural aptitude; rather, they displayed something she came to think of as grit. Before she was a psychologist at the University of Pennsylvania, Angela Duckworth was a middle school math teacher. As a rookie teacher, she was surprised when she calculated grades. Some of her sharpest students weren’t doing so well, while others who struggled through each lesson were getting A’s. The Rev. Dr. Martin Luther King Jr. once observed, “Intelligence plus character — that is the goal of true education.” Evidence has now accumulated in support of King’s proposition: Attributes like self-control predict children’s success in school and beyond. MacArthur Foundation “genius” award winner and research psychologist Angela Lee Duckworth is a reluctant star. Her pioneering studies at the University of Pennsylvania into how character relates to achievement have been going on for 12 laborious years now, and she expects to die doing them, but you can spare her the fanfare.